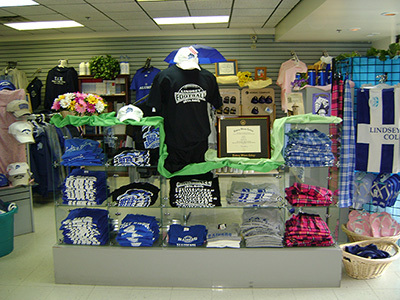 The Lindsey Wilson College Bookstore is located in the Cralle SUB. It carries a wide variety of class room supplies, new and used textbooks, greeting cards, toiletries, and a line of fashion wear and mementos exclusively designed for Lindsey Wilson College students. Bookstore hours are: 7:30 a.m.- 4:30 p.m. CT on Tuesday, Wednesday and Friday; and 8:30 a.m.- 5:30 p.m. CT on Monday and Thursday. VISA, Master Card, and the Discover Card are honored. To learn which books you'll need for the semester follow the link below and click on the correct term (for example, Spring 2018.) You are not obligated to purchase your books through the bookstore. If you chose to purchase from our bookstore, You will need to call or email the bookstore in order to make your purchase and they may be able to put it on your student account and mail them to you. Regardless our Bookstore is happy to answer questions regarding your books. If you want to purchase them elsewhere, you will need the ISBN number on the listing. Each Instructor for each section may require a different text, so please remember to look for your Instructor's name on the listing as well as your section number. To receive a full refund for your returned books they must be in their original condition and with a reciept. Books that are sealed must be returned sealed. Books purchased as new books must be returned free of any marks, highlighter marks, or bent pages for a full refund. If new books have any marks it will be refunded at the used book price. Class schedule - to show that you do not have the class the book is required for. Add/drop form- to show that you have dropped the class that the book is required for. *Purchases made with a credit card will be credited back to the credit card. Cash will not be returned for a purchase made by a credit card.